Apple will move into a soon-to-be-vacated Gap location at Crabtree Valley Mall in Raleigh, North Carolina in late 2017 or early 2018, according to mall spokesman Brian Asbill, who spoke with local newspaper The News & Observer. 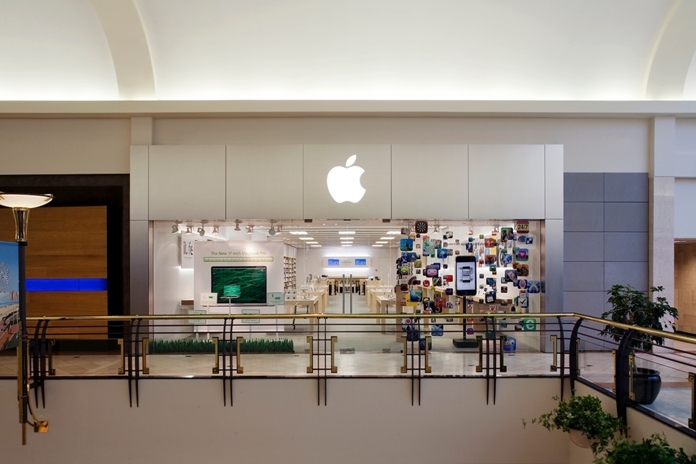 Apple's new store will be approximately 9,000 square feet, nearly double the size of its current Crabtree Valley Mall location, which opened in June 2006. Apple has one other store in the Triangle at The Streets at Southpoint in Durham. Is this really news worth reporting? This is my local Apple store..it is always packed in there unless you go an awkward time like 2PM on a business day. Hopefully they add more genius bar employees, at this point you have to schedule appointments a week out which is pretty terrible compared to apple support in the past. Also trying to buy something in there is also a hassle trying to find an employee that is available and has an easypay scanner. I'm surprised they are moving from where they are though, that location is one of the best spots in the mall in terms of foot traffic. Good! This is my local store and I hate it because everytime I go there it is uncomfortably crowded. This used to be my local store...then I made the awful mistake of moving to Columbia. However, I will be moving back this year and really look forward to having this store available! When store openings are the highlight of Apple News something is wrong at the mother ship. Google updates/releases more in a month than Apple does in a year. Apple has gotten lazy and are relying on 3rd party for new innovations. Uncomfortable isn't the word, that place is packed! Glad to see this! Much needed. That location was way too cramped last time I was there.